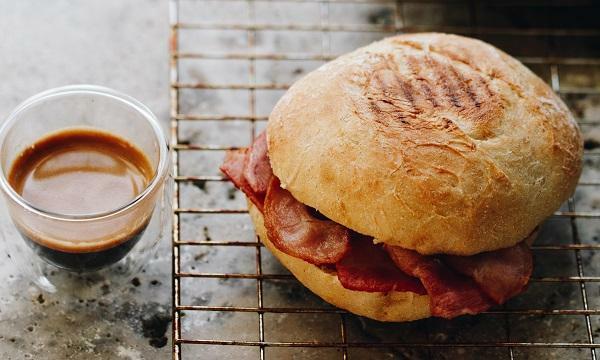 Caffè Nero announced the launch of its coffee-cured bacon sandwich, part of an extensive espresso-infused menu available all day and exclusively at all its stores. The bacon is featured throughout the coffee-themed menu, which includes a classic ciabatta bacon roll, BLT sandwich, bacon sausage and egg breakfast pot, brie and bacon panini and bacon and chutney flatbread. Sweet treats have also been combined with the brand’s premium Italian espresso, including the soft centre dark chocolate espresso brownie and cappuccino cake with fluffy sponge and sweet coffee frosting. “We’ve introduced some delicious new options to the menu, with the aim of putting our coffee craft into our food, to give it a premium appeal,” Caffè Nero UK head of food Hannah McKay said. The group that owns Caffe Nero recently became the majority owner of Coffee#1, having acquired 70% worth of shares from former owner S.A. Brain.